This website is to provide a random study of various headstones to reference for genealogy research. Primarily the cemeteries are located in Florida and Mississippi for personal research, but many headstones are included to cross reference during my researching. Hopefully we will be adding other cemeteries in Louisiana, parts of Europe - specifically; England, France and Sicily. Through fellow genealogist we will add more cemeteries and links to assist in building your "Family Tree". Check back often to view any updates or new information added. [Headstones@MyItalianHistory.com 13 MAR 2012] . 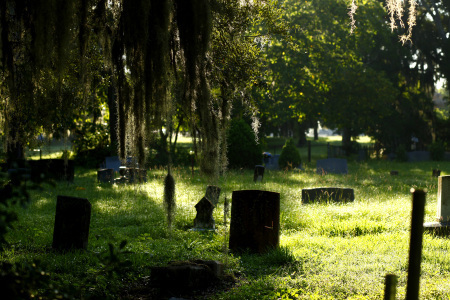 The goal of this website is to include photos from at least one cemetery per county in Florida. Construction photos for a granite obelisk & grave site at Italian Club Cemetery. Check back again... we plan to add more information soon.